I’ve mentioned before how I like to pack a day bag in my Nomatic backpack when travelling. 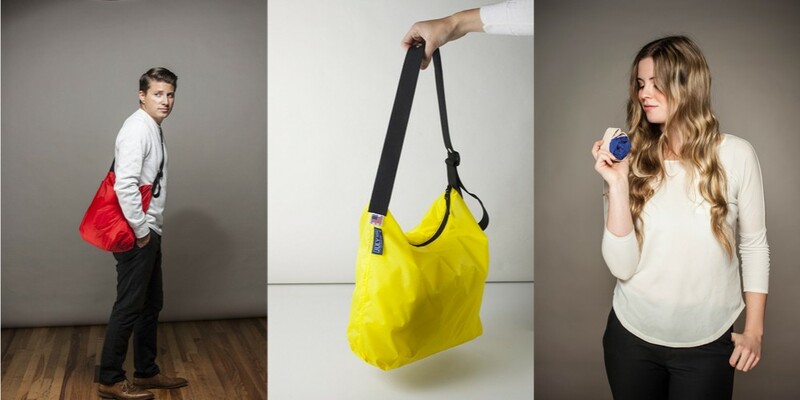 Currently, I use the Baron Fig Tote but this range of roll-up bags by July Nine would be a great, and space saving, alternative. The bags come in five variations depending on colour and features like adjustable straps and drawstring closings. Personally, I’d go for the Sequel as it looks like it has a longer shoulder strap. The bags come in two sizes, 18” and 24”, which should cover most eventualities. As mentioned these bags are designed to be rolled for easy storage, it looks nice and easy! I’d definitely be tempted to add one of these to my collection. As with a lot of US-based manufacturers, shipping to Europe is expensive (and not unexpected). In this case, it was more than the bag! However, spend over $200 and shipping is free — these would make great presents! There is currently one UK supplier but they don’t stock the full range at this point but it’s worth checking back to see if they expand their offering.